We all have that very fond memory of watching our favourite Disney movie over and over, or listening repeatedly to the soundtrack of our favourite Disney songs, or walking from shop to shop to get our hands on the latest new Disney character merchandise which will make you the coolest kid at school. But little of us actually realise that this is where the magic actually lies within Disney. Don’t think for one moment that the above applies to only little kids and their parents, Disney also owns sporting channel ESPN, programming channel ABC, the Star Wars franchise through Lucasfilm and our favourite superhero’s through the Marvel franchise. 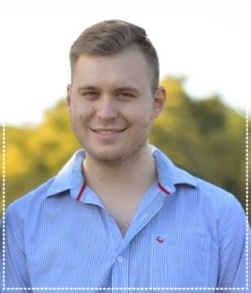 25 year old Juandré van Zyl has been an EasyEquities youser for three years and holds an honours degree in quantitative finance from the North West University. He is currently working as risk analyst, having previously worked as equity analyst and trader. 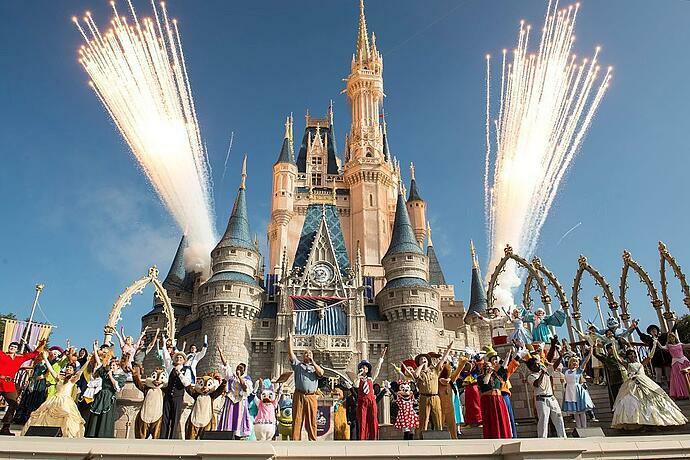 The magic is that Disney have an incredible way of leveraging their brands and characters over their entire business. Disney is much more than a princess movie creator; they are actually split into 4 segments, namely Media Networks, Parks and Resorts, Studio Entertainment and lastly Consumer products and interactive media. Disney create a loveable character in a movie and make millions off the movie. That’s just the beginning. More millions are made by selling the soundtrack; after the soundtrack, comes the merchandise and mobile phone game, and lastly a new ride is dedicated to the character at the theme park. This entire process creates an immense stream of annuity income for Disney. This all sounds great… so why is the Disney share price only up by a smudge over 3% for the last year? I believe most of the decrease in the Disney share price can be attributed to the media networks segment, as more and more Americans are cutting the cord and opting for online streaming platforms such as Netflix. This division which hosts ESPN, ABC and other broadcasting assets make up nearly 43% of revenue for Disney, and most of the money in this segment comes from Cable Networks which have seen operating income decline by 10% over the last year. Disney knows cord cutting is a reality and although it seems to have stabilised to some extent for Disney, this major division is still under pressure as investors ask themselves how future-proof cable TV is. 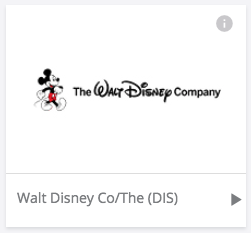 The key differentiator for me between Disney and other cable TV companies is that the content library of Disney is unmatched and even though people are watching less and less cable TV they still want to watch Disney’s content, online. Disney knows how valuable their content is and that is why they are withdrawing their content from Netflix and are working on their own streaming service competitor. They are already busy transforming ESPN into streaming service ESPN+ which is planned for 2018, and their own streaming service planned for 2019. They also have a stake in streaming service HULU. The Parks and Resorts segment has done well, showing a revenue rise of 8% and an operating income rise of 14%, despite Hurricane Irma troubles. Disney has expanded into China with their Shanghai park and this seems to be a major contributor to future growth. The Studio Entertainment division is the choppy one in the Disney family, being heavily influenced by the release of big studio films. Current figures are not really comparable to 2016 as 2016 had been influenced by Star Wars: The Force Awakens and other films that came close to the $1 billion mark. 2018 is set to be one for the record books with two new Star Wars movies, The Incredibles 2 and the Wreck it Ralph sequel. Looking forward, Disney seems to be interested in the studio assets of 21st Century Fox. Most companies destroy shareholder value through big acquisitions but Disney has stood the test with Pixar, Marvel and Lucasfilm. Buying these assets from Fox will give them the rights to X-men, the sequels of Avatar and the National Geographic channel, but most importantly they will get to gain majority control of HULU, a streaming Netflix competitor which was owned jointly by a few entertainment companies. The last few years have been characterised by ESPN troubles and cord cutting fears, but I believe 2018 and beyond will see the studio and parks business come through very strongly, and as soon as the first results from the HULU Live service and ESPN+ comes out, fears of cord cutting will be long forgotten memories. Disney has strong fundamentals and a very good cash flow profile. If you look beyond the P/E (Disney has a history of high P/E ratios) and high US market valuations a quality company like Disney will reward you in the long run, I will buy on any price pullback. 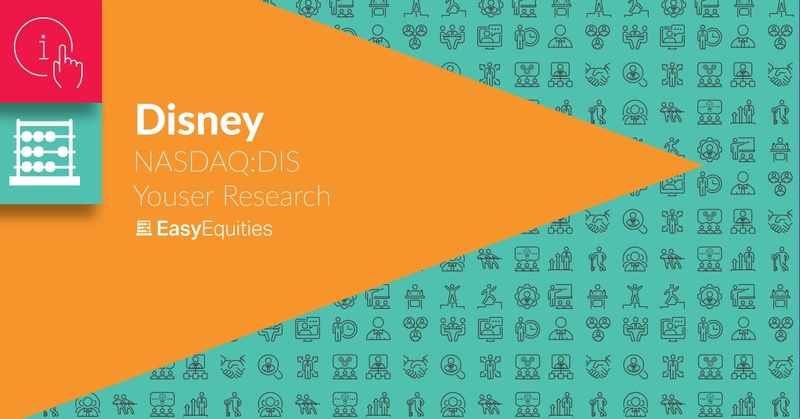 You can invest in Disney shares on the EasyEquities US Stocks account portfolio.